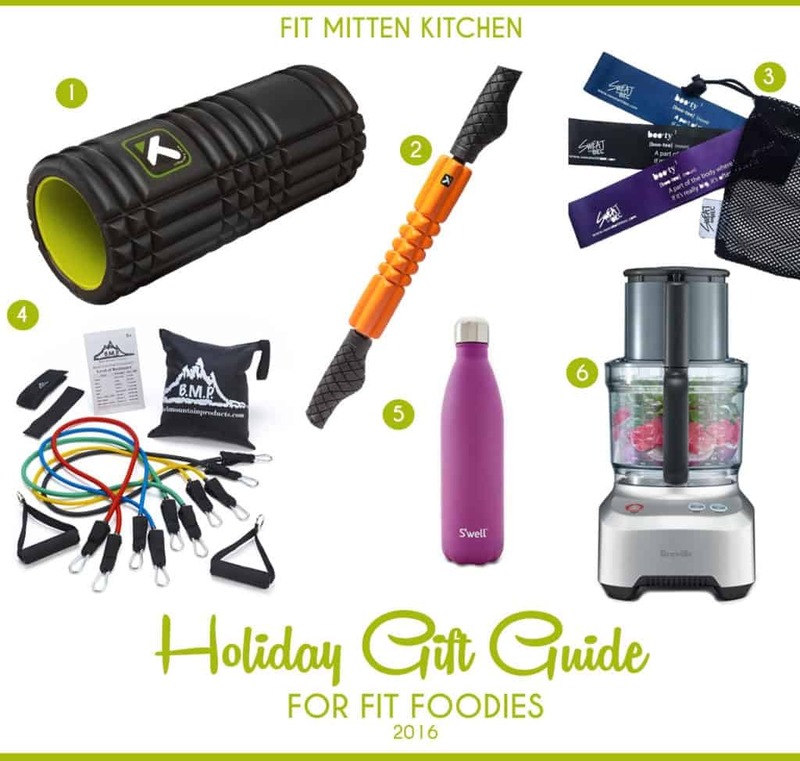 Fit Mitten Kitchen’s 2016 Holiday Gift Guide, for the fit foodies in your life! From foam rollers to chocolate gifts, this guide is perfect for fit foodies! 2. TriggerPoint GRID STK Okay, call me TriggerPoint obsessed, but truly the STK also makes for a great gift for your fitness friends. It is more travel-friendly compared to the foam roller, and helps get deeper into some areas without having to get on the floor. Give this to your friends who need some extra TLC on their muscles. 3. SWB Booty Bands So these bands are really fun. And by fun I kind of mean painful… but in the best way. Any fitness fanatic will love these booty bands. 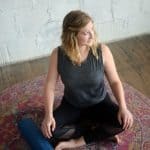 There are so many exercises you can do with them, perfect for working out at home or when you’re traveling. We got these little bands after doing a workout with Gunnar Peterson during BlogFest. So fun! 6. Heavy Duty Food Processor Definitely an amazing gift for the fit foodie who loves to bake or cook. I use the Breville 12 cup all the time and it is seriously amazing. Everything from homemade paleo protein bars, date-based energy balls, to homemade nut butters and cakes. Your fit foodie will love you forever and always if you get them this. 7. Himalayan Salt Block Perfect for the grill masters in your life, or those that love to entertain! You can cook pretty much anything on a salt block. 8. Ghee All the foodies need some ghee in their life. Ghee is clarified butter, which is great for those that are lactose-intolerant. The flavor you get from cooking with ghee is incredible, and it has a higher smoke point. The grass-fed ghee from Fourth & Heart is top-notch. 10. Tea for One Pretty tea pots! I love this one from David’s Tea (obviously, it’s turquoise). It has a matching cup that fits snugly on top of the pot. Tea lovers need something like this. 11. French Press Oh yeah, every foodie needs a French coffee press in their lives. Not only is it great for making a strong, tasty brew but it doubles as the perfect way to make cold brew. 13. 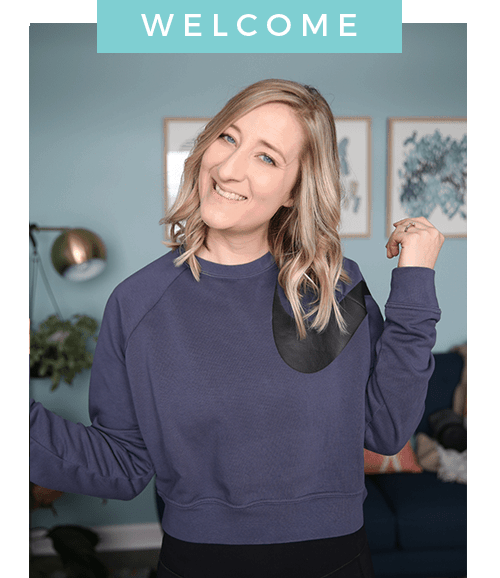 Fun Foodie Tees Can we get any more basic? Probably not… but come on, the foodies in your life need shirts like this to represent. 14. A Cozy Coloring Book Because coloring is for adults again, and with this coloring cook book you’ll be able to de-stress by coloring and cooking up a storm! This looks so fun. 15. Stashed Bags For the foodie, earth-loving friends these Stasher Bags are seriously awesome. They’re made from silicone and they’re so durable. Freezer-friendly, perfect for so many things!! I have a couple myself and truly do love them. And while some may think “Hm, that’s an odd gift…”, think about your earth-loving friends (which should be all of you, but I digress) and they will love. 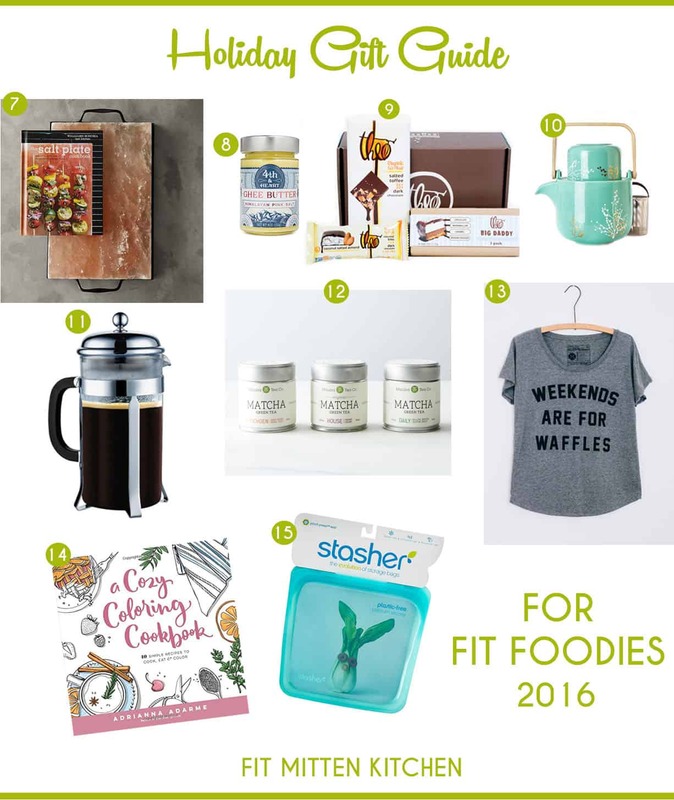 Definitely using this gift guide for fit foodies–and maybe adding some of these to my own list. Do you have a fitness fanatic or foodie in your life? I love this! I have a S’well and it’s amazing! It seriously looks so pretty and it truly keeps my drinks nice and cold. I really like this list and might pass this one to some family members! OOH! Wow this is so cool! 🙂 I would love some Theo Chocolate or maybe a foam roller for sore muscles. Well you just filled up my gift list! Perfect mix of fitness and food! You just reminded me that I have one of those salt plates hidden away and haven’t used it since we moved. WHOOPS. Haha well get it out!